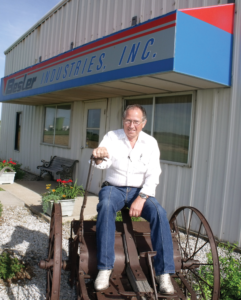 esler Industries is a family-owned company based in Cambridge, Nebraska, that for more than 45 years has been manufacturing agricultural equipment and machinery. Its machines are designed in-house and are highly customizable. 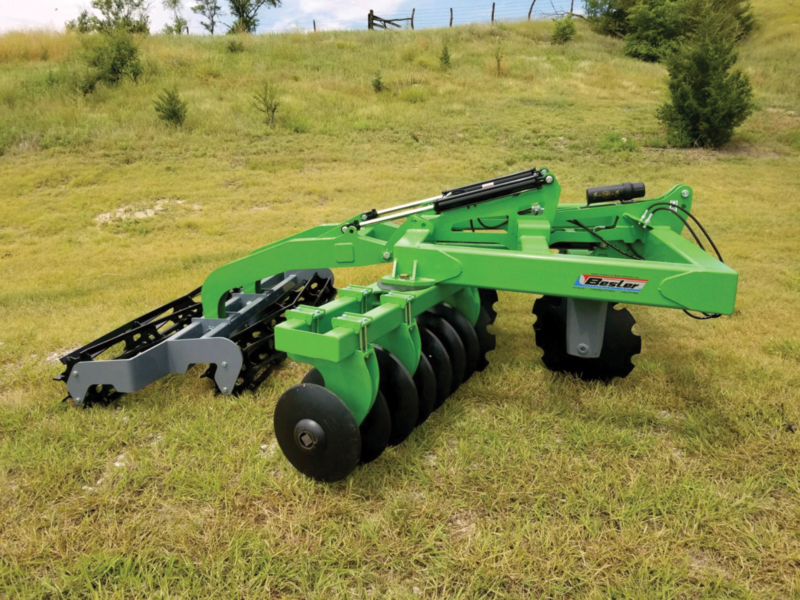 One of Besler Industries’ newest items is a pivot track closer, a device used to fill in the ruts caused by the wheels of center pivots. 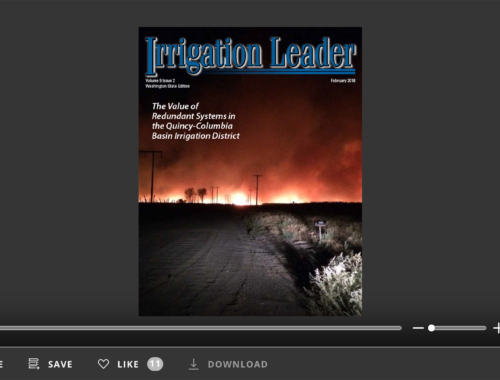 In this interview, Herb Besler, the owner and one of the cofounders of Besler Industries, speaks with Irrigation LeaderManaging Editor Joshua Dill about his company’s history and how the new pivot track closer was designed. Joshua Dill: Please tell us about your background and how you started your company, Besler Industries. 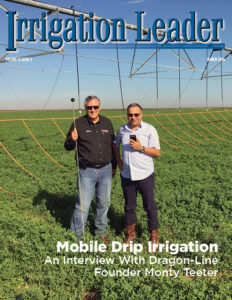 Herb Besler: Back in 1973, I was a mechanic for International Garage in Cambridge, Nebraska, and a guy who started an irrigation company down there wanted me to go in as a partner with him. I quit my job and went to be a partner, but the company only lasted 30 days, so I started a company with two other partners. A year and a half later, I bought them out and have been on my own since then. I started out making portable corral panels, then portable hayfeeders, and then stover wagons that could be pulled behind a combine. The stover wagon was used to collect stover from the corn, and furfuryl alcohol was made from it. We sold 100 of them to the Quaker Oats Company in Farmer City, Illinois. We delivered 40 or 60 of them there, and then some of them went to Grand Island. Quaker Oats opened a place in Grand Island that only lasted a year before it closed. After that, we started making bale loaders that go in the back of a pickup truck, which can pick up two bales, as well as rolling stock choppers and rippers. We went from there to a three-point model of the bale loader, and in 1992 we started making a flatbed model, which we still make now. In 1990, we bought the patent rights for root slicers and have been building them ever since. Our latest products are pivot track closers and utility beds for pickup trucks. Joshua Dill: How big is your company today? Herb Besler: Right now we have about 25 people, and we expect to grow because of the popularity of our utility bed. That product is not just farm related—we sell it to plumbers, electricians, and utility companies. I think that is going to end up being our number-one item, volumewise. Joshua Dill: Where are your customers located? Herb Besler: We have around 300 dealers, not all of whom are active at any given moment. They are located in Georgia, Iowa, Kansas, Missouri, Montana, Nebraska, North Dakota, Oklahoma, South Dakota, Texas, and Wyoming, as well as in Canada. Georgia is a big market for our cotton puller, which is similar to our root slicer but with a bigger disc. Joshua Dill: What problem was the pivot track closer introduced to address? Herb Besler: When you are going over the same pivot tracks year after year, the wheels on your pivot end up leaving a pretty deep rut. That rut needs to be filled in with new dirt, and that is what our pivot track closer does. Joshua Dill: What kinds of problems do those ruts cause farmers? Herb Besler: Well, those ruts get deeper and deeper every year. If farmers do not close them up somehow, they will become trenches. The tracks are pretty wide—some of those tires are, I imagine, around 15 inches wide. Joshua Dill: How does the pivot track closer work? Herb Besler: The pivot track closer is pulled behind a tractor. It has two discs in the front to break down the side walls of the track and pull that dirt in from a wider area and put some new dirt on top of it. You have to cave the sides of the track in. Otherwise, it remains trough shaped, and as soon as it gets wet again, you get mud in there and it all squishes out and you gain nothing. The device has a basket behind, which levels the surface and packs it in a little bit. The wings of our pivot track closer are hydraulically angled so the driver can change the pitch of the angle from the seat of the tractor. If you have a really deep ditch, you can run it at an aggressive angle and move a lot of dirt. Where it is not so deep, you can level it off and move less dirt. The majority of pivot track closers on the market today are about 6 feet wide. We came up with four models ranging from 8 feet 11 inches to 15 feet 2 inches. That brings in a lot of new dirt to fill that pivot track. Joshua Dill: How are you marketing your pivot track closer? A Model 1180 PivotTrack Closer, 11 feet 8 inches wide at its least aggressive pitch. Herb Besler: It all goes through an implement dealer. John Deere and International are our main two. Of course, our pivot track closers only sell in areas where there are pivots—mainly Colorado, Nebraska, and Kansas. Joshua Dill: How have technological advances changed the way you design and build your products? Herb Besler: With the laser, everything is simpler to build. We can tab and slot the parts of our machines together now instead of having to build a fixture for every piece. Everything goes together like a puzzle. The same is true of our fixtures. We used to have to measure everything and tack weld it. We nearly had to build it on the floor. Now, we design everything on the computer. Once the machine is designed, we build the fixture for it based on that. It is all tabbed together. You don’t even need a tape measure to put it together. Everything goes together like a puzzle—you just tack it together, and you’re done. Joshua Dill: Would you tell us about the main challenges your company faces? Joshua Dill: So your product is an improvement on an already existing idea? Joshua Dill: Is your model patented? Joshua Dill: Does your company have a team of engineers who design these new products? Herb Besler: I do most of the engineering and then work with a draftsman to draw it up. I am not an engineer—I have an eighth-grade education—but I do all of the design work here. Joshua Dill: How long have you been working on your new pivot track closer? Herb Besler: We have been working on it for probably 3 years now. It took a lot of demonstrations and changes to the original machine to come up with our final product. We put out a few of them in 2018. At this point, we are happy with it; it is doing a good job. Our customers tell us that it is the best machine out there. We are ready to go into production on it. Joshua Dill: So it will go into production this year? 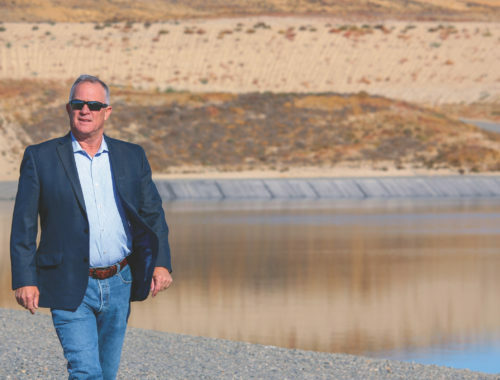 Herb Besler: We have a few out now, and we are getting ready to build 20 more. Herb Besler: Farming as a business goes up and down. Farmers do well one year and lose the money the next year. We started producing the utility bed because it is bought by a broad spectrum of customers, meaning that demand is more stable. The market for farm equipment has changed. I can remember a time when I had 53 eight-row stock choppers ready to go out in the spring. Now we don’t build one until a farmer puts in an order, because we don’t know exactly what they will want. They can order a variety of different equipment: a rolling basket, a harrow, or whatever they want. It is almost a built-to- order system. We use a laser that allows us to cut the parts out pretty quickly. However, it is harder to make money building to order. 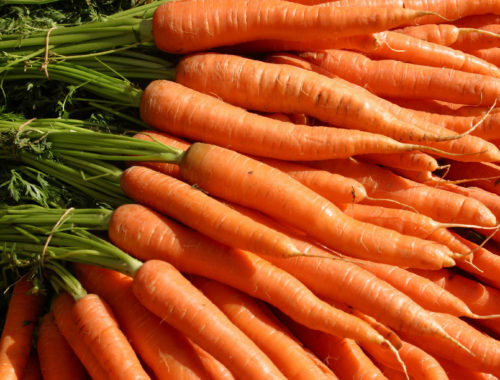 It is more cost effective to build a large quantity at a time. Joshua Dill: Please tell us about your goals and ambitions for your company. Herb Besler: I am of retirement age, but I have a couple kids involved. My oldest son is running the manufacturing part of the business while I do the design work, and my son-in-law is doing well in sales. I am hoping that the kids take over. I am hoping that sales of our new utility bed will grow.